The University Council’s agreement in principle in late July to simplify the University’s name to ‘University of Wellington’ has set the wider university community into an agitated state, and as a result, I’ve been asked to pen some brief thoughts from a student perspective—I’m one of only 22,000+ students, and so this is a personal view only. It’s a divisive issue, with a lot of passion on both sides, and it’s important that the University Council hears from as many different voices that they can to inform their decisions. Therefore, from the outset of this blog I’d urge anyone, if you’ve got some thoughts on the proposal, to have a read up of the documents surrounding the proposal and send in your thoughts. Let’s cut to the chase: I’m very much pro-name simplification—I can see the potential for the wider benefits surrounding international rankings and less confusion, but more convincing for me is the ability to tie Victoria University of Wellington much closer to the place where we’re situated: Wellington City. Among the students I’ve talked to recently, there’s very little interest in the name simplification proposal. That’s not to say they oppose change or are ready to repaint the Victoria University signs already—this simply isn’t the biggest issue of concern currently, and they feel there are better things that we could be spending time looking to change. Fair point, and I’d encourage the University Council to work on these issues too. But we’ve started down the name simplification path now so we’d be best to finish it off. I’m a huge fan of this university. It’s given me a wild ride over the past four years, opening my eyes to a plethora of opportunities, the chance to meet some incredible people, and the skills to go further in life and contribute back to society. This is why I’m pro-name simplification—I have no attachment to the word ‘Victoria’ in the name, but I do now have a much greater appreciation for the institution itself. I moved to Wellington four years ago, having lived in Whangarei my entire life before that—note that I say “Wellington”. I was always going to move to Wellington—it had everything of interest to me: Parliament, government ministries, Treasury, the Reserve Bank, the Courts, and an array of opportunities in economics. Victoria University of Wellington was the logical choice (especially with New Zealand’s only School of Government)—but the important consideration here was just as much the city I now live in, as the university I attend. Currently, I feel we’ve got too much of an “us and them” situation going on. The University and Wellington City seem to be quite separate, distinct, entities, which makes the entire experience of going to university and working in the City isolating. 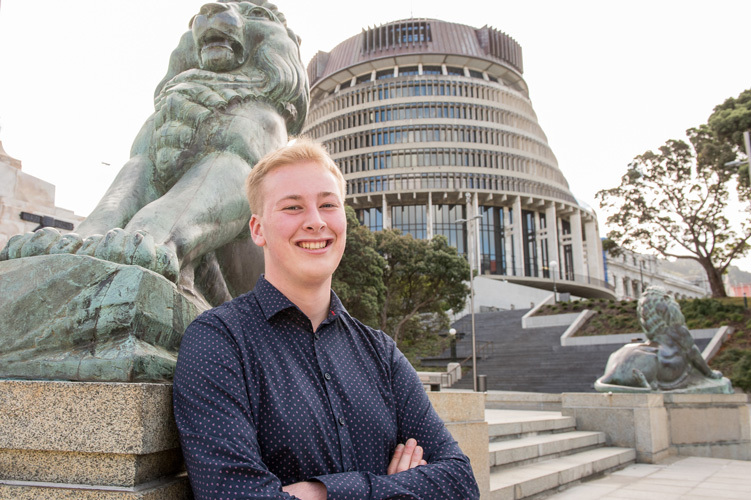 Why I’m in favour of the name change is the stronger connection it seeks to forge between the University and Wellington City. 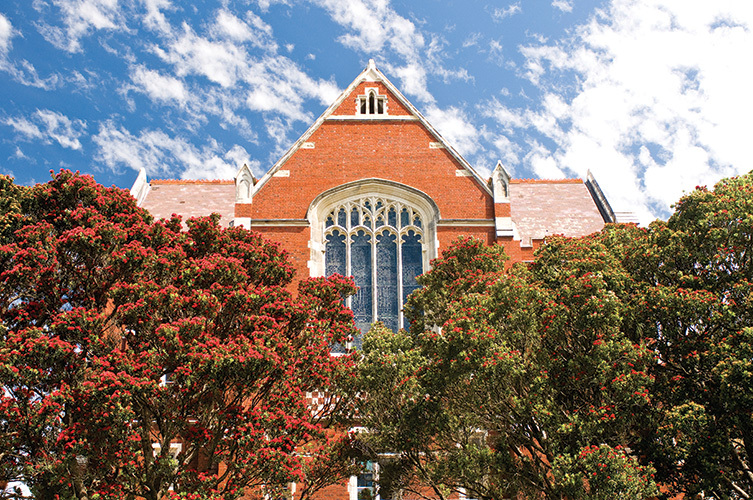 University of Wellington to me speaks to the importance both entities have to one another, and reinforces the fact that the University is New Zealand’s capital city university, with a global-civic focus. We’re highly interdependent, and to really look to the future and be ready to reposition ourselves on the global stage, I can see why the name should change. Brad Olsen shares his perspective on the University’s name simplification proposal. I’m proud to be a Victoria University of Wellington student, and proud to call myself an adopted Wellingtonian—something I find many peers, colleagues, and seniors agreeing with. Wellington City is a major drawcard already, and I’m keen to see the University meaningfully reconnect with the City. Already we start nearly all promotional material featuring all things Wellington—we rave about the ~vibe~, the excellent coffee, and the friendly atmosphere (and usually conveniently forget the mixed weather and horizontal rain). But we don’t tie the University back to Wellington City often enough. What this means is that we’re missing out. We’re missing out on leveraging a strong, more connected, and better funded marketing push that puts Wellington on the map, and with it the University. The University is currently the only organisation promoting “Victoria”—meanwhile Wellington City Council and WREDA (the Wellington Regional Economic Development Agency) among others spend millions on marketing “Wellington”. Compare that to somewhere like Auckland or Canterbury where the marketing is effectively combined, and I’d expect the University of Wellington could extract better international attention if we can leverage the wider “Wellington” marketing budget and add our voices to the efforts of other organisations working to increase our reach overseas. I’m trying to keep this short, sharp, and sweet, and I know I haven’t covered off all the points I could make, or addressed nearly any of the various aspects of the proposal and arguments for and against. Personally, I’d much rather discuss/argue this in person over coffee, and would be happy to catch up with anyone so inclined. In the interest of sharing information from both sides of the fence, you can find the university’s documentation on the proposal here, an op-ed from the Vice-Chancellor here, Patrick Gower’s op-ed, and finally the Stick With Vic Facebook page here (with links to a number of thoughtful pieces by the likes of Hugh Rennie and others, that although I disagree with, provide some great discussions). Regardless of what side you take, make sure you let the university know! I’d much rather we have a proper discussion about the proposal than just a few loud voices from either side slug it out in the editorials page of the Dom Post. Now’s your chance—make your voice heard. Brad Olsen is a fourth-year commerce and arts student. He is also a member of the University’s Academic Board and is the Chair of the Wellington City Youth Council. These are his personal views.